The IPR Group was pleased to host a delegation of Patent Attorneys from Turkey; our dear friends and business partners in Intellectual Property matters. It has been a pleasure for us to maintain partnering relations with our colleagues. Our co-operation gives an opportunity to represent the interests of our clients in Turkey and also to extend valuable international experience in patent and trademark protection to the countries of our jurisdiction. 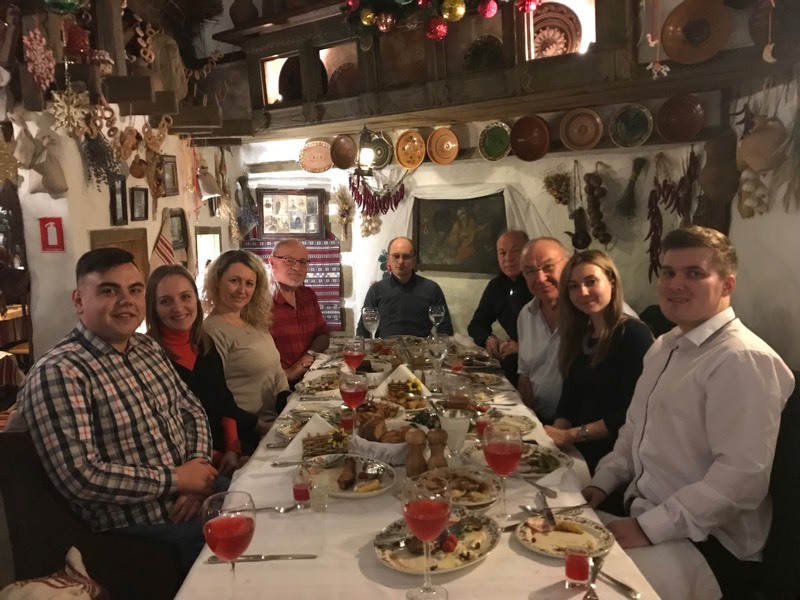 Together we spent a nice time of sightseeing in the city of Kiev and dinner of traditional Ukrainian cuisine and enjoyed music afterwards. The warm and relaxed atmosphere of the chosen restaurant facilitated communication on business prospects, possible launching of new projects in the IP sphere, as well as sharing thoughts on the peculiarities and trends in IP rights legislation in the view of new challenges. We briefly discussed latest developments and major problems in the sphere of IP in Turkey and the CIS countries. The attention of our partners from this region indicates that companies from Turkey have an increasing interest in gaining IP rights protection in Ukraine and the CIS markets, due to the close geographical location and traditional business activities as well as contacts in Eurasia. The Statistics of IP Objects filed by Turkish applicants are available on the pages of jurisdictions. We thank our colleagues for their visit and welcome every opportunity to continue our mutual initiatives in many more meetings. We are glad to receive our colleagues from all countries and pleased to extend our hospitality and establish new communications with interested prospects. Therefore, if you are traveling across the CIS, the IPR Group hospitable staff is always open to a meeting with you to discuss essential problems and developments in IP. You are welcome to contact us.